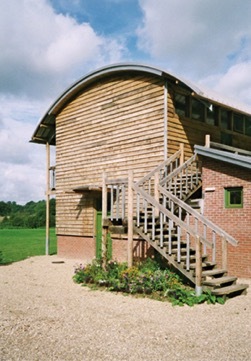 An activity centre for disadvantaged children, the building received one of the 1998 RIBA Awards for Architecture and was a runner up in that year’s Stephen Lawrence Prize. 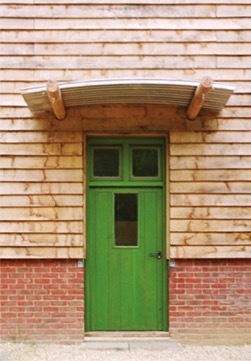 The centre also received a Winchester City Council Architecture Commendation. 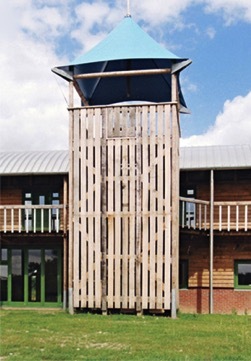 The building was erected using a green oak, pegged structure and creates an environment where education and adventure converge, perfect for outdoor games, learning about the countryside and fostering leadership and team building skills. 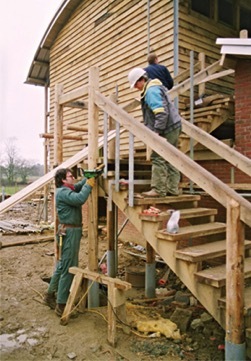 At that moment, it seemed all the work in creating the building had been truly worthwhile. Children were gaining experience and having fun. The structure was, quite literally, providing a launch pad for their imagination.